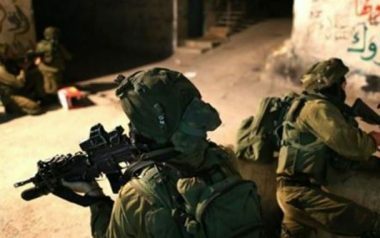 The Wadi Hilweh Information Center in Silwan (Silwanic) has reported that Israeli soldiers abducted, on Monday at dawn, nine Palestinian teenagers from their homes in the al-‘Isawiya town, in occupied East Jerusalem. Silwanic stated that the soldiers broke into and violently searched many homes in the town, and interrogated scores of residents, before abducting nine teenage boys. Silwan added that the soldiers were accompanied by several Israeli intelligence officers, who also stormed homes and buildings.